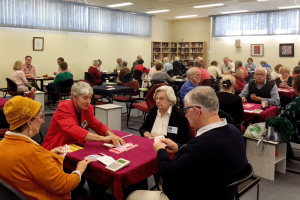 Bridge lessons are the not-so-secret recipe to Maitland Bridge Club’s success. 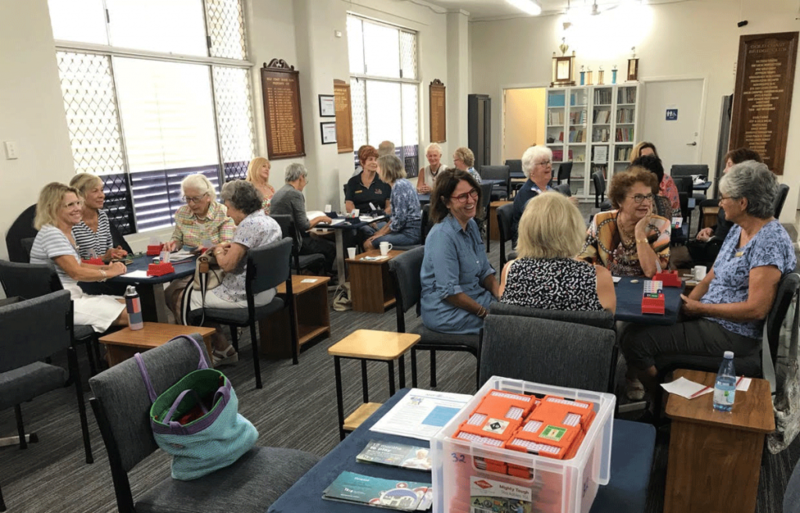 Established in 1975 and currently home to 165 members, Maitland Bridge Club Vice President and Bridge Teacher Jenny Coyle said the club’s friendly vibe and educational focus helped attract and keep new members. “The club is noted for its friendly and caring atmosphere,” Jenny said. 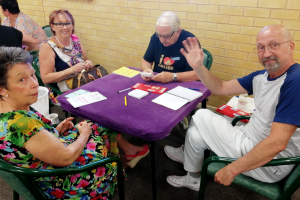 “It is always a pleasure to see graduates from Beginner lessons and Supervised sessions move on to duplicate play, and into congresses and national competitions such as the Summer Festival,” President Pam Crichton says when asked about Canberra Bridge Club (CBC) achievements. 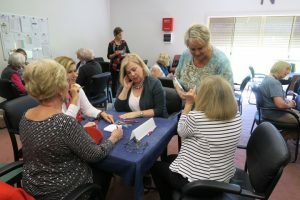 Helping CBC’s members through this transition is the club’s Novice Coordinator program and its three regular teachers – Barb Toohey, Ann Pettigrew and Jeanette Grahame, who are all ABF Accredited Teachers. Since 2015, Jeanette and Ann have shared the role of Coordinator for Novice players. As they are both CBC teachers, they have got to know the players and can assist in a more personal way. 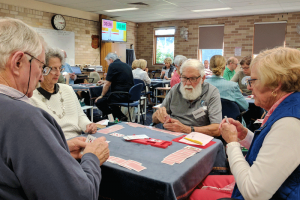 The area may be famous for sand, surf and skyscrapers, but since 1982 this month’s featured bridge club has been working hard at creating a paradise for bridge players. 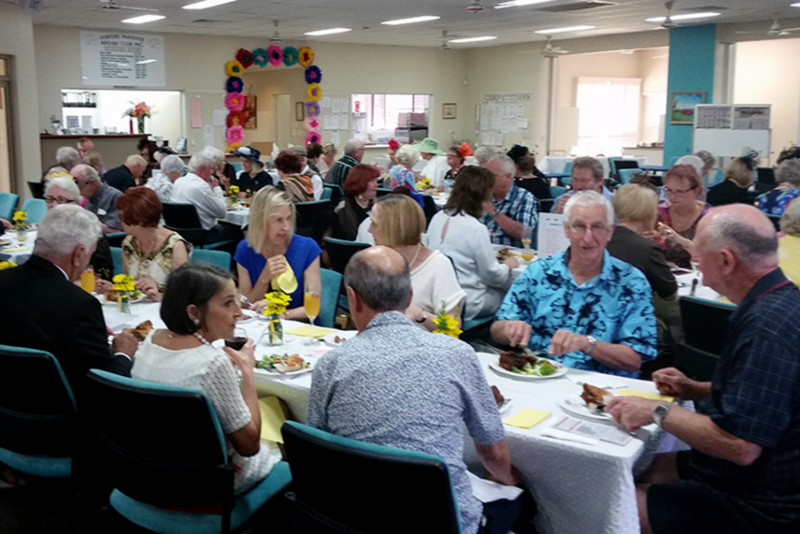 Surfers Paradise Bridge Club currently has 620 members and Club President Diann Young says the club’s committee and volunteers spend many hours working diligently to create a happy and enjoyable atmosphere for all bridge players. “Make happy those who are near, and those who are far will come” is the maxim the Gold Coast Bridge Club (GCBC) adheres to. As such, the club has been providing locals and visitors with a place to play their favourite sport and improve their skills since it was established in 1964.
tent on growing its membership, GCBC has developed a strong education program and a reputation as a social club. 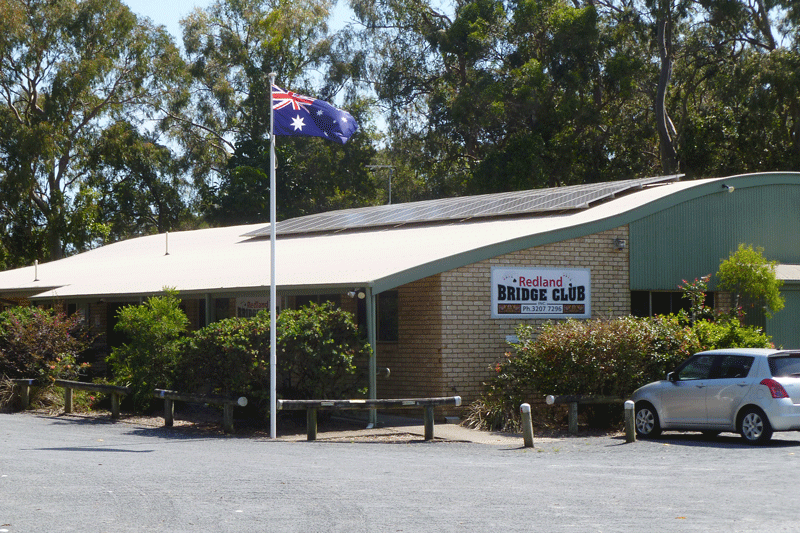 Established in August 1969, Geelong Bridge Club is now the home club for almost 300 members, five Grand Masters, one Gold Grand Master (Gary Ridgeway), two Silver Grand Masters (Arthur Robbins and Douglas Newlands), and country Victoria’s first ABF Accredited Bridge Teacher (Dot Reed). 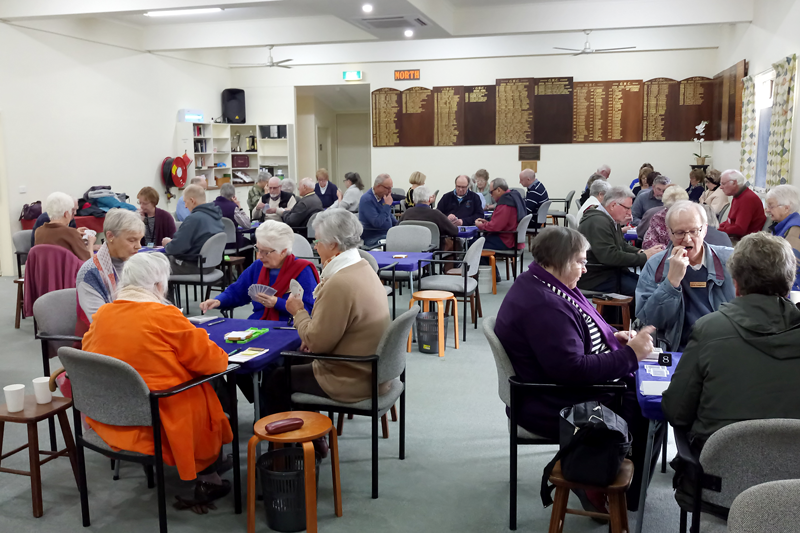 “Remind everyone that it is a game.” It’s the little jewel of wisdom offered by Redland Bridge Club secretary Doug Sands when reflecting on the club’s journey – and the focus on enjoying bridge has seen the club flourish despite some tumultuous early years.